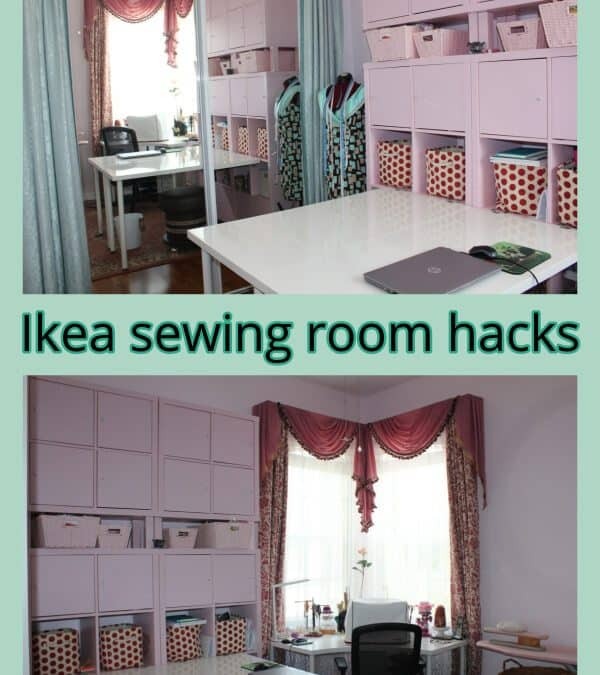 In this guide, I would like to show you how I build my sewing rooms using IKEA products. If your sewing room is packed with fabrics and sewing supplies, these easy and inexpensive IKEA products will help you to organize everything with a little DIY. I want you to look at IKEA products in a whole new light – and get you inspired to get your DIY on.